Welcome to the Porsche of Nashville Service Center! Our certified technicians are passionate about the work they do here. You can trust us to fix any automotive issue on any make or model. Welcome to the Porsche of Nashville service center. We service all of the Nashville area with an expert array of automotive services performed only by certified technicians. They have both the expertise and experience necessary to maintain Porsche and any other brand of vehicle with a genuine passion for the work that they do on a daily basis. Your dealership here understands your need for quality satisfaction and service, so we put our all into our work and trust that you'll love the results. We do a wide variety of auto maintenance and repair here that keep your vehicle running in top condition all year long. Whether it's regular oil changes and fluid checks or extensive engine repair, we'll be able to tackle the issue with the expertise and knowledge it takes to handle auto problems wholly and swiftly. That's our goal and our promise to you. And when we say we provide friendly care, we do. We have a legion of returning customers who will testify about our ability to put them at ease even when they're facing the toughest of auto repair issues. Yes, it can be stressful to know your vehicle has a problem, but when you bring it into the experts here at Porsche of Nashville, you'll instantly feel the relief of knowing your auto is in great hands that genuinely care about solving your problem. We get straight to work, waste no time performing computer diagnostics or pinpointing the problem, and to get to work straight away to make sure that you go home another happy customer. Our service uses only top quality OEM (original equipment manufacturer) parts. 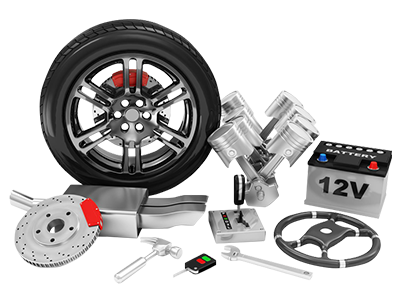 Those are the parts that your manufacturer believes should be used for your vehicle, and those are the parts that we use, without exception. Aftermarket parts aren't approved by warranties a lot of the time, and this can cost you money out of pocket when you can least afford to pay it. They're also parts that aren't explicitly recommended by the manufacturer, and this means you can get a lot of shoddy parts that don't work well with your Porsche or another model. Don't go to a dealership that uses anything but OEM parts like us! You can quickly find yourself paying out of pocket expenses or worse yet suffering from a lack of performance on your model. We invite you to bring your vehicle to our service center today. It's our goal to make you one happy customer the first time you step foot through our doors. We'll never leave you wanting for any auto service, and if we don't have the OEM parts here, we'll order them quickly and get your vehicle up and running again. Call today to schedule an appointment or stop by any time. We look forward to serving you!